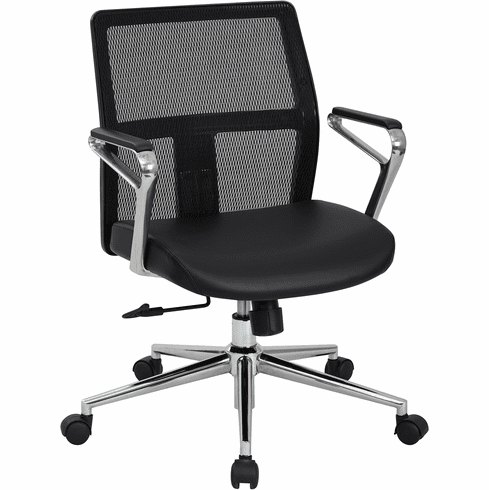 While it is not quite a king's throne, you might feel like the president of the company when seated upon the Mid Mesh Back Bonded Leather Managers Chair by Office Star. Its strength, durability, customizable adjustments and comfort will make you feel like you just got a promotion. Toss your old office chair; absorb the inspiration of this fine office furniture; and get to work. Seat Height Min: 17.75" - 21.25"